Product design e-commerce website for world-renowned Zaha Hadid, pioneering and visionary architect. We were invited by Zaha Hadid Design (ZHD), the product design wing of Zaha Hadid Architects, to pitch ideas for how we could showcase their range of product, furniture, artworks and special collaborations. 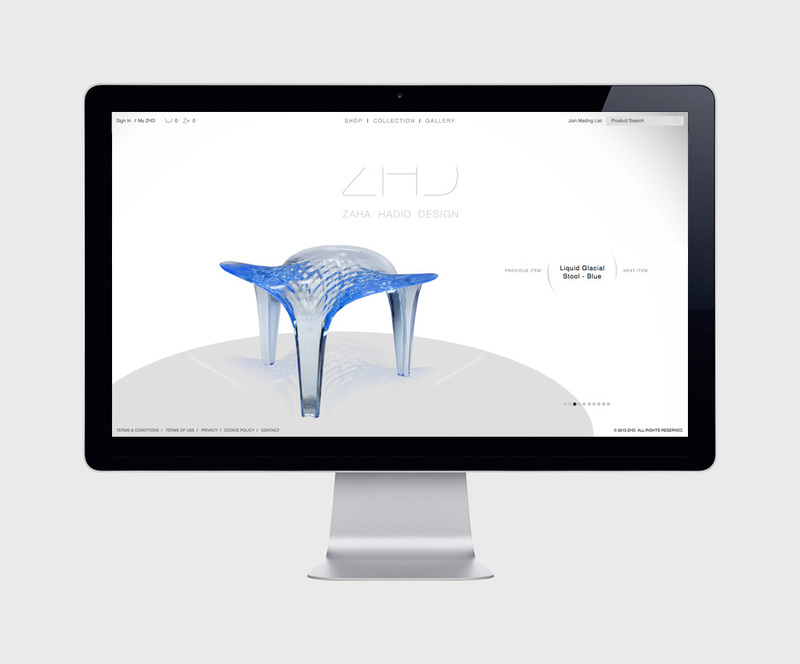 Our concept was simple – create a website that only Zaha Hadid would consider making herself. Unconventional yet functional. Curves where everything would usually be square. We wanted it to be obvious and opposing anything generic. One of the challenges we faced was an archive of products that had all been shot differently and were all shapes and sizes – literally! Going the extra mile we decided to colour correct, cut out, and reflect every product including every angle supplied to make them all consistent – a real labour of love. The website was a bold and confident celebration of design and originality that ZHD could also sell products through.